Pacifica Commercial Realty is pleased to exclusively represent Richard Sauret for the sale of his westside Zinfandel vineyards located at 7410 Drake Road. 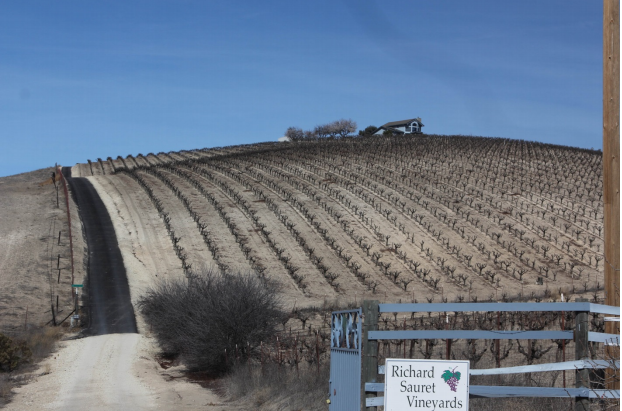 This vineyard is located off San Marcos Road in the heart of the Paso Robles AVA. The grapes from this vineyard were sold to Rosenblum Cellars, who produced a vineyard designated wine that was selected by “Wine Spectator” magazine for inclusion on its list of “The Top 100 Wines in the World”. The 2002 vintage was selected as #41 on the 2004 list and the 2003 vintage was selected as #30 on the 2005 list. It was also selected for Wine Enthusiast magazine “Best 100 Wines of 2003”. 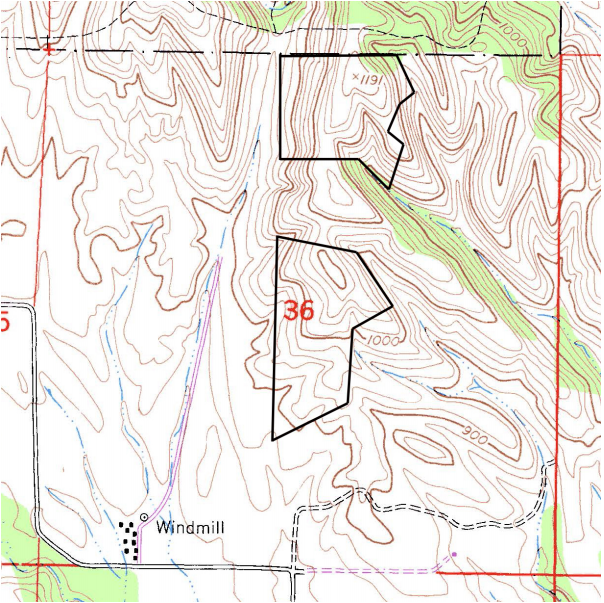 The entire Property is comprised of 38.68 acres divided into 2 legal parcels. 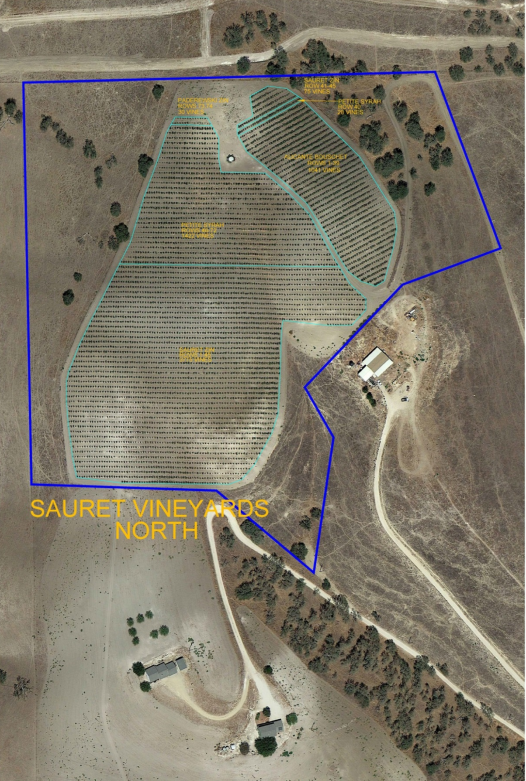 It has been planted with 17 acres of Zinfandel, Richard Sauret clone, with an additional 3 acres of Petite Syrah and 2 acres of Alicante Bouschet. There are two wells (one on each Parcel) each producing +/- 18 gallons per minute. Seller has a good pump history for these wells. The vineyards are planted with 17 acres of Richard Sauret clone Zinfandel planted in 1985 on its own roots, at a 12 X 12 spacing, head pruned. There are also 3 acres of Petite Syrah and 2 acres of Alicante Bouschet planted and interplanted in the same years and spacing as the Zinfandel, also head pruned. In 2012 the vineyard yielded 52 tons; 2.6 tons per acre, which was sold to Rosenblum Cellars for $2,800 per ton. In 2013 the vineyard yielded 63 tons; 2.86 tons per acre, which was sold to Opolo Cellars for $2,800 per ton. Opolo has a year to year contract to purchase the fruit, that can be cancelled at any time, but if the cancellation is after March first of any given year, then the grapes for that year and the following year are committed to Opolo. Parcel 1 is improved with a equipment barn, residence, and landscape improvements. There is a 12 foot wide paved drive from Drake Road to a paved parking area between the residence and equipment barn that is approximately 35 by 80 feet. The equipment barn is 20 feet by 36 feet with a clear height of 12 feet. The building is a frame structure with corrugated metal roof. It is enclosed with fixed corrugated panels on two sides, and can store 3 vehicles. The residence is located at the top of the hill and has a panoramic view in all directions. It could be used as a residence or Vacation Rental. It was built in 1988 with approximately 2,123 square feet of space, 3 bedrooms, 2 baths. It has a loft style master bedroom that benefits from the views. There is an attached 2 car garage. The landscaping around the house includes raised planters, almond, walnut, pistachio, mandarine orange, tangerine, orange and apricot trees.